The Hill: Senate Minority Leader Charles Schumer is urging top intelligence officials to meet with President Trump after the commander-in-chief lashed out at the intelligence community earlier Wednesday. Schumer sent a letter to Director of National Intelligence Dan Coats on Wednesday, saying that it was “incumbent” that the former senator, CIA Director Gina Haspel and FBI Director Christopher Wray “insist on an immediate meeting” with Trump in the wake of his remarks. “You cannot allow the President’s ill-advised and unwarranted comments today to stand. …He is putting you and your colleagues in an untenable position and hurting the national interest in the process. 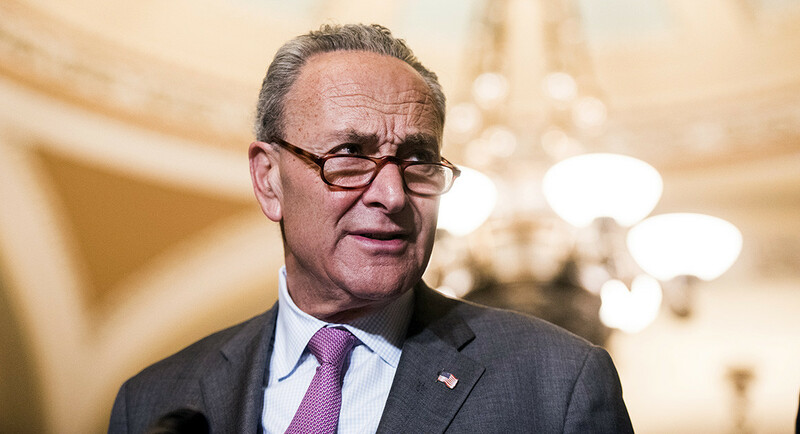 You must find a way to make that clear to him,” Schumer wrote in the letter. In a separate tweet on Wednesday night, Schumer added that it’s “past time for U.S. Intelligence Community leaders to stage an intervention” with the president. “Impress upon him how critically important it is for him to join you and the leadership of our intelligence community in speaking with a unified and accurate voice about national security threats,” he added. Trump sparked bipartisan backlash on Capitol Hill Wednesday when he lashed out at top intelligence community officials after Coats contradicted comments the president has made about Iran. Schumer, in his letter, called Trump’s criticism “extraordinarily inappropriate.” “I applaud you and your colleagues in the Intelligence Community for being clear-eyed about the threats we face, but you cannot allow the President’s ill-advised and unwarranted comments today to stand,” the Senate Democratic leader wrote. Coats told the Senate Intelligence Committee that the intelligence community found that Iran is not seeking to develop its nuclear weapons capabilities, basing his remarks on an intelligence assessment. Schumer you are the #1 loser in this world. The devil has taken your soul and left you a shell of hatred.You are useless as t ts on a bull. You will get your comeuppance, either here on earth when someone actually treats you the way you treat us voters and the people we voted into office. If not in this world, I am sure Jesus Christ has an opening in hell just for you. May you live the rest of your life in fear, poverty, shame and hated by all. Another wanna be president. He is Mrs. Pelosi. When are these liberal pigs going to be held accountable for all of their dirty tricks and law breaking acts? Schumer the intervention expert, but he knows nothing! Iran is an enemy of ours, been that way since the shah was deposed, years ago, don’t, understand that Schumer! Go over there and find out stupid! Have not heard any more about the 10 words or less contest to write; “Nice things about Schumer”.